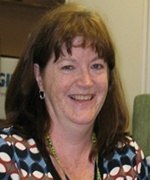 Mary received her BS in Industrial Operations Engineering (IOE) from the University of Michigan in 1983. She has held process improvement roles within the healthcare industry for over 30 years, ranging from Management Engineer to Materials Manager to External Consultant. After serving in various positions across the country, Mary returned to U of M as an industrial engineer expert/lean coach. Over the past 21 years, Mary has completed many process improvement projects within Michigan Medicine. She functions as a Six Sigma Master Black Belt. She is lean certified and has facilitated many Lean Value Stream Mapping workshops, internal education seminars, as well as other lean endeavors. She was the lead facilitator for the multidisciplinary OR/Pre-Op Lean committee, and initiated the process with UMHS administration to move forward lean principles that helped foster value-based decisions to improve and enhance patient and family-centered care initiatives. Mary lectures for the Senior Design course in the IOE Department, which partners with the Health System every semester. Together they manage 10-11 student projects on various process improvement topics. She has published a chapter in a book along with several articles related to industrial engineering and lean in healthcare.